This is my latest book and I’m thrilled that it is finally published! It was five years in the making. If you’re a parent who’s nervous about “talking adoption” with your child, grab hold of Little Branch and he will show you the realities of being an adopted kid. Your child will find validation for the feelings and thoughts that are buried deep within and as a result of reading Little Branch’s adoption story, he/she will have new freedom to share his/her story with you! Sherrie beautifully captures the foster and adoptive journey in this stunning book. Her words resonate deeply with me as an adoptive mom. My 10 year old son sat beside me as I read it and he felt that the character Little Branch, was telling his story. Sherrie paints a picture of adoption that includes feelings of loss, love, heartbreak and healing. This book will prompt empowering connection and conversation with adoptees and deeper understanding for parents. Every foster and adoptive family should own this book! Sherrie Eldridge has given our children, and us as parents, an incredible gift through this beautiful book, Little Branch Gets Adopted. It’s heartwarming but also appropriate for children who have been adopted. I highly recommend this book for your family! Little Branch Gets Adopted beautifully illustrates the dilemma many adopted children face — opening up their hearts to a more than one mom. This book gives words to the love they hold for their first family and their intense grief at separation, while holding space for the nurturing and transformative relationships that have begun to form through adoption. In these beautiful pages, adopted children will see their own story so rarely told. There is room in this book — and in a child’s heart — for the love of more than one mother to grow. Twenty Things Adopted Kids Wish devotional gives adoptive and birth families encouragement as they seek God to work through the emotions unique to their family. Daily 365 inspiring devotions are filled with Scripture and authentic insight into the heart of adopted children. Powerful prayer prompts help you navigate through difficult topics such as rejection, the missing faces in their lives, and much. More importantly, as you pray together through these tough topics, God will knit your hearts together to be a family and you will become the greatest prayer warrior for your adopted child. Based on the author’s best-selling trade book, Twenty Things Adopted Kids Wish Their Adoptive Parents Knew, families will find their hearts woven closer together through Christ’s love as they conquer adoptive life issues. “Adoption is a sacred undertaking – yet not without challenges. Sherrie Eldridge’s devotional will provide companionship and perspective for the journey. “Adoptive parents need help, guidance and assurance in how to give their children a healthy foundational understanding of their own unique identity. Sherrie provides parents with an important tool to help them engage this extremely important, yet uncomfortable responsibility. Adoptive parents are sure to have moments in which they just don’t know what is going on for their child and how to help. Sherrie brings wisdom and peace to these moments with insight into the adoptee experience, her deep and abiding faith, and Bible-sourced comfort. A heartfelt addition to your adoption book collection. In this newly refreshed and updated second edition of 20 Choices, readers gain a glimpse into the hearts of nearly 70 adoptees, ranging in age from seven to seventy-one. Perhaps, after reading, they will gain glimpses into the heart of the adoptee they cherish. This book, when applied, will transform the adoptee mindset from victim to victory, from shame to success, from guilt to gratefulness, from directionless to living life on purpose. Sherrie Eldridge once again is empowering the adoption community to understand the deeper implications of adoption which are often hidden by surface platitudes and off-handed catch phrases! Her insight and wisdom, and the intimate stories shared by others, allow us to better understand the inner workings of the adoptee’s heart and thus gifts us with wisdom that will help us love our children well! And, as always, her transparency and authenticity is refreshing! Rebecca Swan Vahle, Founder and CEO, Family to Family Adoption Support Network, Inc.
Sherrie Eldridge, the adoption expert who has so ably helped adoptive parents better understand their children’s needs, is back again, helping other adoptees to learn from her own journey through search and reunion with her latest guide, 20 Life-Transforming Choices Adoptees Need to Make.It’s a well-written guide for adoptees of all ages, empowering them to grow in positive new directions–– regardless of the outcome of their search. If adoption is your mountain, Sherrie Eldridge is your best possible sherpa, for few understand all of its peaks and passes the way Sherrie does, and her sage advice can help you reach your own summit. Sherrie Eldridge speaks what so many of us wish we’d been able to explain to our adoptive parents. 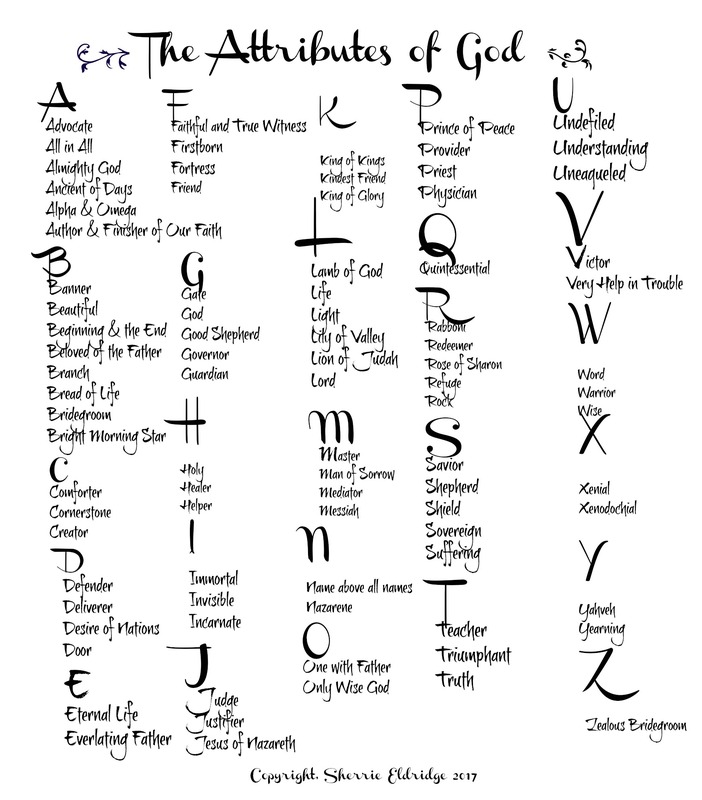 This has helped me tremendously as an adoptive mother myself now. Once again Sherrie Eldridge has written a very helpful book for the adoption community. This time her efforts have been directed toward adoptees and twenty ways in which she encourages them to take control of their own healing. It is impossible to articulate how life changing this book has been for me! I strongly urge every person whose life has woven into the tapestry of adoption to read it. For me, this book gave voice to my thoughts, emotions, and actions that were holding me back from fully living the life I was created to live. Eldridge uncovers the common threads adoptees hold on to throughout our lives, including grief, loss, rejection, fear, hope and love. In addition, she gives voice to the common questions about family, love, abandonment and courage that so many of us adoptees try and reconcile. See “Shop” page on this site for pre-order, discount prices from amazon. In this all-new companion volume to Twenty Things Adopted Kids Wish Their Adoptive Parents Knew, Sherrie Eldridge shifts her focus from the adoptee to parents by offering them PURE ENCOURAGEMENT! This book is PURE ENCOURAGEMENT for foster and adoptive parents! Sherrie interviewed 100 parents and you will hear their validating voices within the pages of this book. At the end of every chapter, Sherrie teaches parents how to hear and respond to the heart language of their adopted/foster children. Sherrie Eldridge once again makes a remarkable contribution to adoption literature, weaving together her personal experiences as both an adoptee and an adoption expert and skillfully examining the often unspoken thoughts of adoptive parents. Adoptive and foster parents, if you would like to learn how your child sees adoption, this is the book for you. It is required reading for many adoption agencies in the US. What a useful book! Sherrie Eldridge has illuminated many issues adoptees and adoptive families face. Her work is presented in a down-to-earth manner which is guaranteed to be helpful to families as they traverse the many facets of loss and its impact on adoptive families. Many books have addressed “problems in adoption,” but Eldridge tackles the real villain: unresolved loss and grief issues and the trauma that precedes all adoptions. Twenty Things is a gift to everyone involved in adoption. Eldridge’s personal disclosures add a level of warmth and genuineness and yet do not overshadow her message but rather focus and heighten it. I am adding this book to my list of highly recommended books. Sherrie Eldridge has opened my eyes widely to the unique needs of my daughter and how to meet them. This book is so clear on the needs ofadopted children. I hope every adoptive parent like me will read it. –STEVE ARTERBURN, Founder of New Life Clinics and Women of Faith, author of Hooked on Life, Growing Up Addicted, How Will I Tell My Mother?, Drug-Proof Your Kids, When Someone You Love Is Someone You Hate, and Toxic Faith. Here at last is a book adoptive parents have been waiting for. Author, Sherrie Eldridge has reached into her own experience as an adoptee and come forth with twenty important issues that adoptive parents need to know in order to effectively parent their adopted children. Focussing on the loss experience, Ms. Eldridge emphasizes the need for children to be able to grieve their losses, to know the truth about their lost heritage, and have help in finding the lost Self. With sensitivity toward the adoptive parents, Eldridge gently educates parents about the fears that adoptees harbor, both about the heritage (which is often a secret) and about their security in adoptive families. She offers parents insightful and practical advice about helping their children cope with these issues. But most of all, she offers hope. Allowing us into her own perceptions and beliefs about her life as an adopted child, Ms. Eldridge brings a ring of truth and immediacy to this complex and often painful subject. A book all adoptive parents should read! –-NANCY VERRIER, adoptive mother, therapist and author of The Primal Wound: Understanding the Adopted Child. About beginnings, birth family, searching, and finding peace (NavPress, 2007) BEST KEPT SECRET IN FAITH-BASED COMMUNITIES! Wonder if your birth mother thinks about you? Feel uncomfortable talking to your parents about your birth family? Wonder if your life was a mistake? Think that others don’t “get it” about adoption? 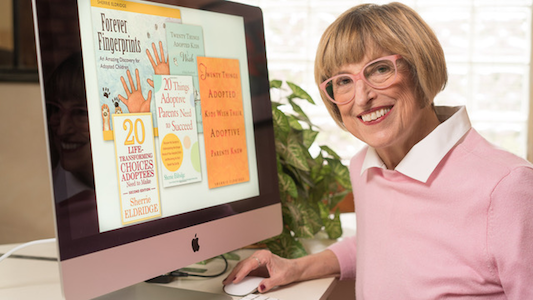 Sherrie Eldridge interviews more than seventy adoptees to bring your questions to light, find the answers, and create connection among adoptees. Discover the freedom in your unique life purpose as you realize the value of your life. This book includes some of Sherrie’s inspirational writing as well as questions for support group or personal use. This book meets an adoptees need for a sense of physical connection to their birth families. Every child, no matter their background and birth history, needs the message of this book. It is suitable for adoptees of any age, including adults! How and when do I tell my about adoption? This is the most-asked question by adoptive parents. Forever Fingerprints will demonstrate the answer to this parental question as well as meet a deep need of their adopted children—to somehow have a sense of connection with their birth parents. So happy I found this site! Today my son( thru adoption) turns 18. He does not want a cake or any celebration. He has always struggled between Mother’s Day and Father’s Day . We understand, but perhaps your blog can help us to help him understand. I hope so, too, Karen!